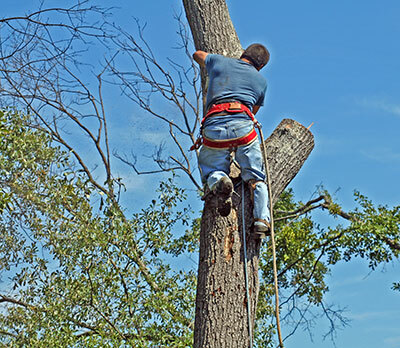 Call Sarasota Tree Care & Services to inquire about our tree trimming services. 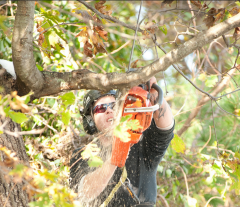 While often used as synonyms, there are distinct differences between the terms tree trimming and tree pruning. Tree trimming usually applies to shrubs, hedges and thickets (and sometimes fruit trees) and is typically performed to ensure perfect growth and maintain the aesthetics of a shrub or tree. There is, however an overlap between these two techniques and they are commonly used interchangeably. There are many reasons why you might want to trim trees or shrubs, and while there are many DIY techniques out there it is always best to call a professional in the Sarasota area with a knowledge of local species. The health of a tree or shrub will in turn affect its appearance and it should be observed periodically to asses whether or not a trimming service is required. Our Sarasota tree trimming service is comprehensive and takes into consideration environmental differences. If you are in need of trimming, give us a call and we will stop by to provide you with a free, no-obligation quote to provide professional tree services. We are very affordable and provide our guarantee that you will be completely satisfied with our work. We look forward to serving you and your trees in the future. 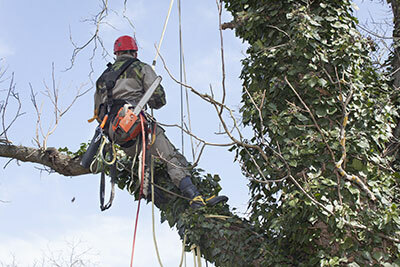 ​During trimming, lower branches are removed to prevent animals from eating or damaging them. This also helps the aesthetic of the tree or shrub and maintains a healthy shape and appearance. It is advised that you do not impose an unnatural shape on a tree or shrub or drastically alter its natural size. This could cause serious damage and affect longevity of the tree. You may want to trim a tree or shrub if it is overly bushy. This could cause a tree to lose a lot of important energy, which is needed to adequately feed and nurture its branches. If too overgrown, some branches or limbs may die or become damaged. Professional thinning allows you to change the shape of a tree in a healthy and stable way. If it is leaning dangerously in one direction this can be rectified. This will help the tree divert its energy into the correct places to maximize health. Safety is crucial and overgrown trees or shrubs may be at risk of damaging property or individuals. Dead or broken branches can fall, this could be the result of a fungal contamination or an insect infestation. To stop this spreading and secure safety, these limbs should be removed. Branches may also cross or rub together which can increase the risk of damage. Thinning the crown of a tree will improve the flow of air and help keep it healthy and safe. Branches and limbs should be carefully controlled so that they do not interfere with power cables or underground utility lines. Storms or hurricanes can cause devastation in Florida and tree branches may become damaged or dislodged, it is key that tree trimming is performed in a safe and responsible manner. As insured tree experts, you can guarantee that we have the relevant cover to ensure this is conducted safely without any cost to you. Trimming trees in Florida will also help manage the protection of fruit and flowers to make sure you have a healthy crop and pleasant appearance. Our experienced tree service professionals use a variety of tools and techniques to perform vital tree trimming services in Sarasota. Hand shears are used to remove buds and leaves while lopping shears, with their foot-long handles can be used to remove thicker branches. In some cases we may use saws to trim a tree, this is done if limbs appear to be too thick. For some trees and overgrown hedges we will use electric hedge trimmers. Our trained tree experts will make sure that the correct tools are used to prevent unwanted damage to your tree or shrub. We offer a range of tree trimming services in the Sarasota area, so take time to decide what you are looking for, alternatively call us and we can advise you on which trimming service is best your specific tree. Our tree service experts will maintain the crown of a tree to ensure dead or infected branches are removed and disposed of responsibly. We also offer a thinning service to make sure enough sunlight can get in and stimulate the growth of your tree. When performing a crown lifting service we remove low lying branches to enhance the crown and reduce the risk of damage from animals. The best time to trim a tree is in its dormant season. Technically trimming of trees can be conducted at any time but it is advised that this only be reserved for hazardous limbs. Tree trimming should be performed twice a year, however trimming frequency does depend on particular species. Shrub and hedge trimming should be carried out in flowering season to maximize aesthetic value. However to improve its health it is best to trim before it reaches growth of one foot. 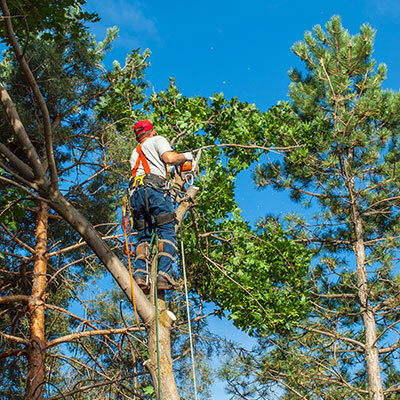 There are a number of risks and considerations you should make before trimming, and again it is always best to call a professional who can accurately asses these and perform what is right for your specific tree or shrub. Poor or unnecessary trimming can seriously damage the health and appearance of a tree or shrub. We will take into consideration the size of branch you would like to remove. It is advised that branches under five centimeters in diameter be removed. If the diameter is between five and ten centimeters, caution should be exercised as this could potentially damage the tree. If you are trimming a branch over ten centimeters in diameter this should only be carried out with good reason. This may be due to a hazardous branch, at risk of falling or a dead or infested branch. We advise that only branches with weak V-shaped angles be removed and to maximize health and stability you should preserve strong U-shapes. If a lateral branch is not one-half to three-quarters the diameter of the stem, it should be removed. Branches are best trimmed when they are young as they are more easily managed and it reduces the chance of unwanted scarring. If a branch is too long or too close to another you should refrain from trimming. Leaving a large stub or branch collar is advised against. While tree trimming may appear to be a simple process, there are many potential pitfalls and variables between species. If your tree needs trimming, speak to one of our experienced tree pros to see how we can assist you.